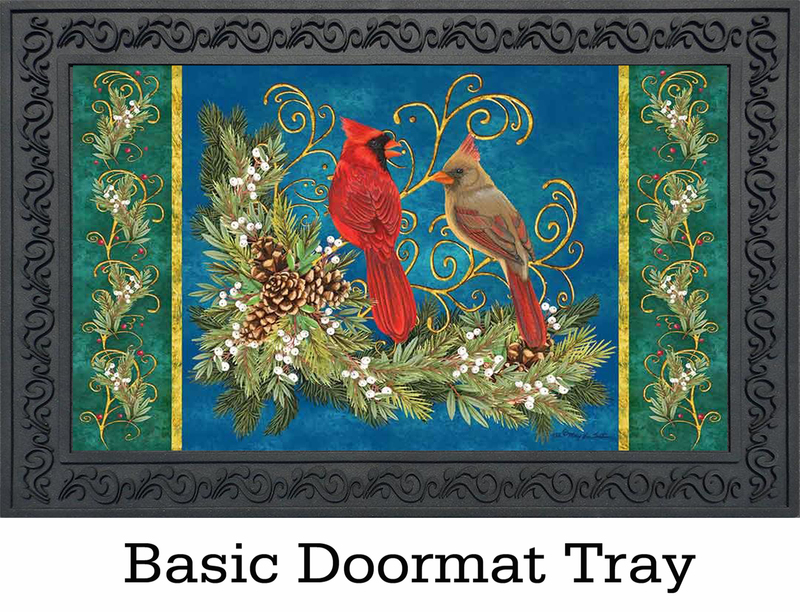 Home >	Indoor & Outdoor Winter Cardinals Insert Doormat - 18" x 30"
Do you love decorating for the winter seasonal and do you love Cardinals? 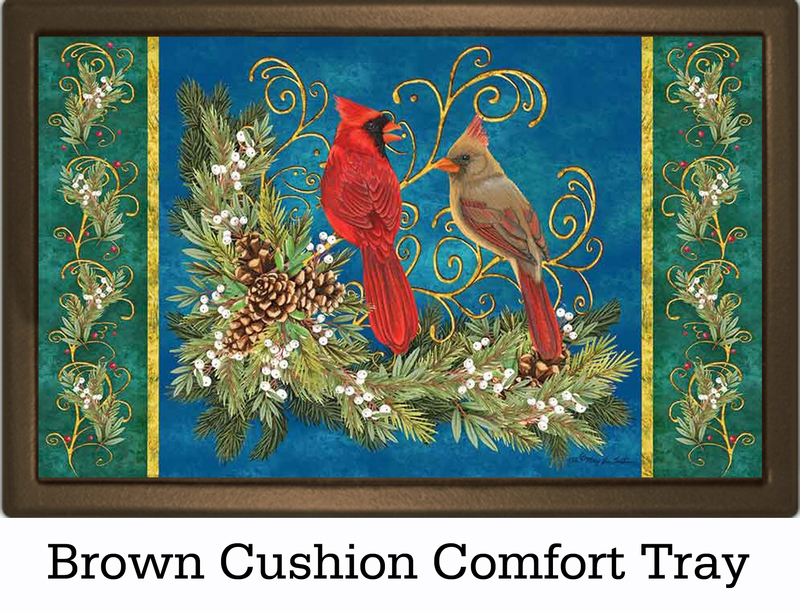 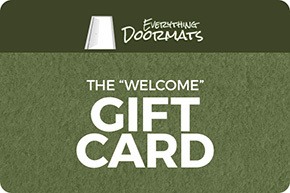 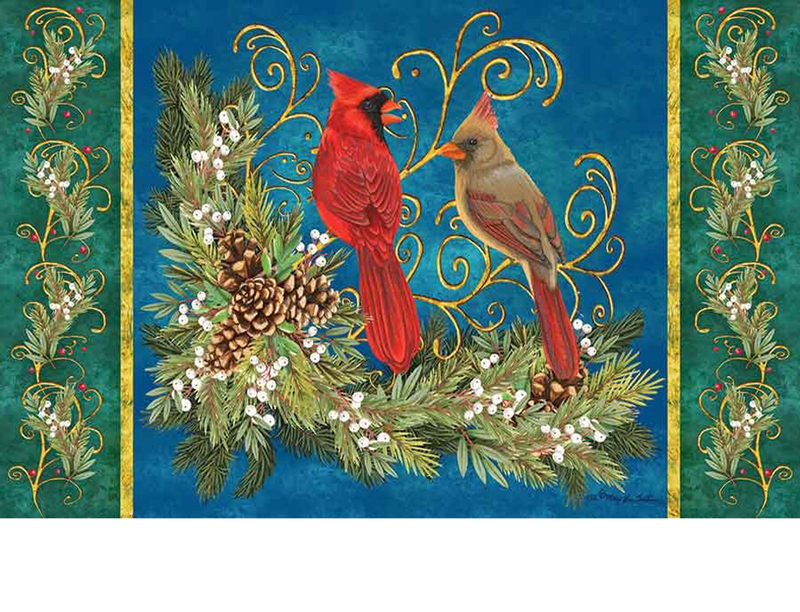 Then this Winter Cardinals insert doormat is the perfect mat to spruce up your homes decor. 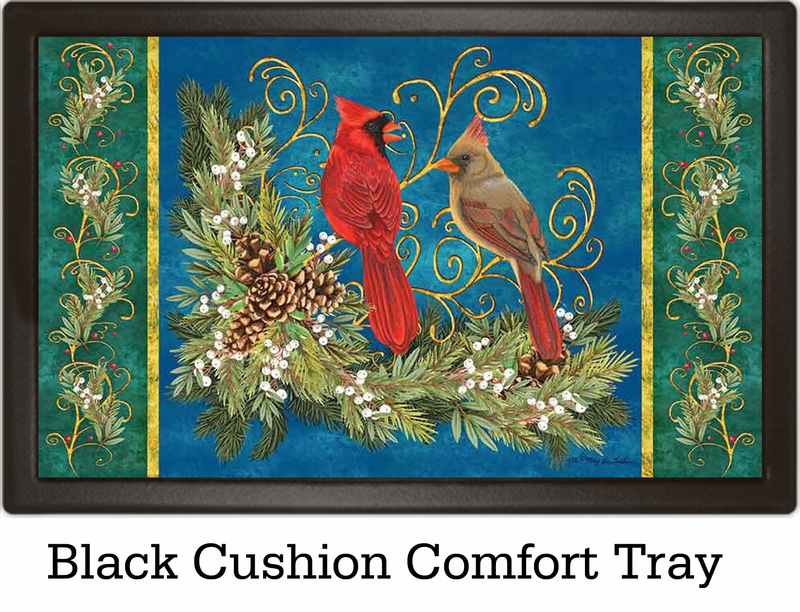 Pair it with one of our indoor trays for an ergonomic standing surface that will relieve the stress on your joints when standing in one palce. 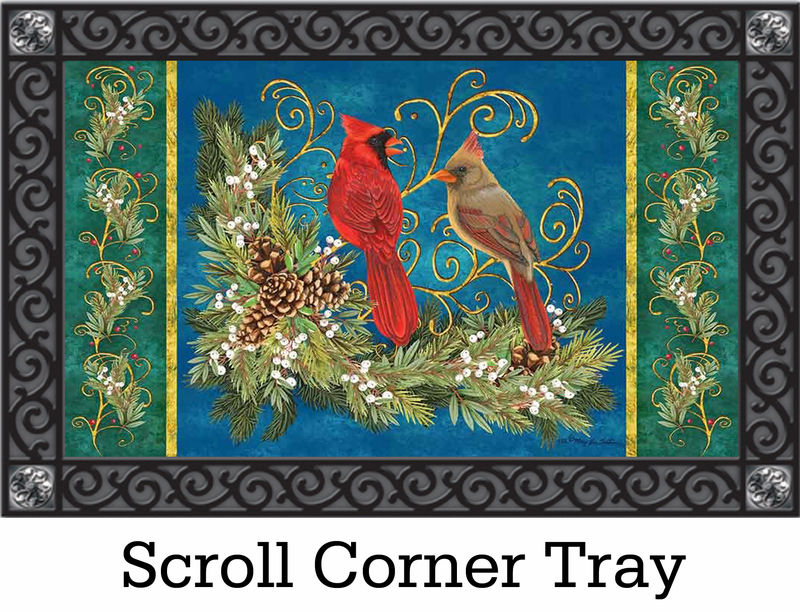 Or pair it with our outdoor trays for a decorative look that adds a touch of elegance to your mat. 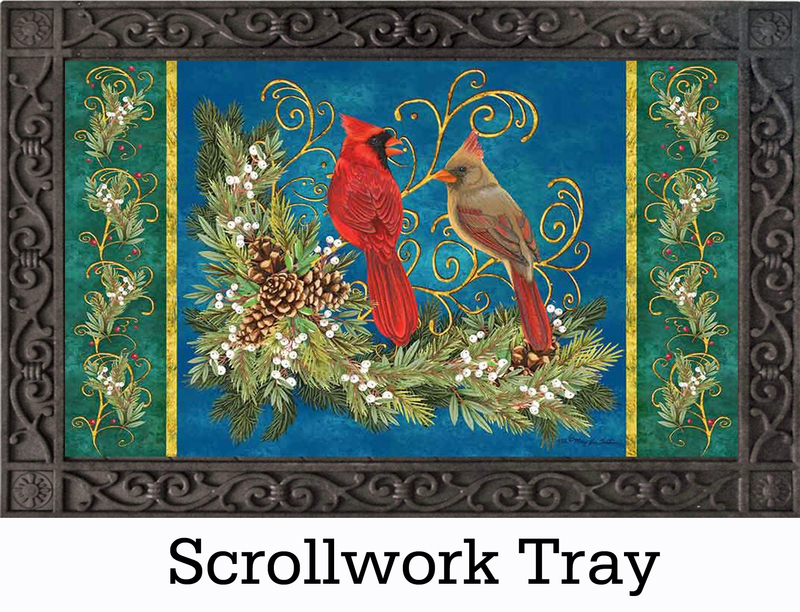 This Winter Cardinals insert doormat is 18" x 30" when used as a stand-alone mat.